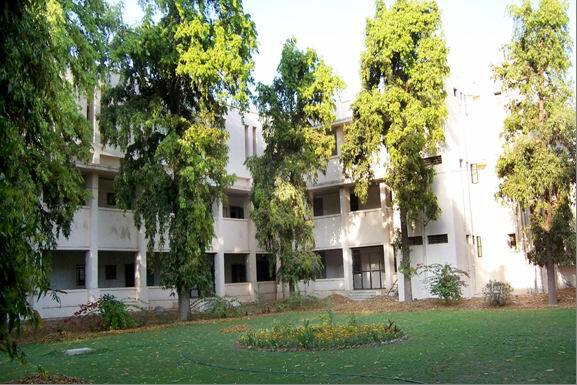 Gujarati Department is an Integral Section of The Gujarat University. It was started-established in the year 1954. This department –section was known as ‘Gujarati Language and Literature’ in the beginning when it was started. Then after gradually other languages were included and introduced. Hence it was named and known as The School of Languages. Shree Umashankar Joshi was the first pioneer and head of Gujarati section-department. He was a celebrated well known poet and a critic. He was also awarded ‘Gyanpith Award’ for his Gujarati Poems. He was also honoured by ‘Ranjitram Gold Medal’. He was also the vice-chancellor of The Gujarat University. Dr. Prabodh Pandit was a famous-known scholar of linguistic science. He was honoured in the year 1967 by Sahitya Academy Award of Delhi and he had also received Ranjitram Chandrak- award in the year 1973. Pro. Anantrai Raval was a celebrated critic, professor and editor. He was given Ranjitram medal. He was also honoured by Sahitya Academy Award, Delhi in the year 1974. Dr. Ramanlal Joshi was the critic and editor of Gujarati literature. He was once the president/chairman of The Gujarat Sahitya Academy. He was honoured by Sahitya Academy Award Delhi in the year 1984. He was the Director of College Develpment Council in Gujarat University and was appointed-selected as an Emeritus Professor of/by U.G.C. in the year 1988. He had achieved the status/degree of Emeritus Professor. Dr. Aniruddha Brahambhatt was a critic and essayist – essay writer. Dr. Mafat Oza was a critic and editor. Dr. Shuman Shah then was a critic and editor. He has received the status of emeritus professor. Dr. Chinu Modi is a poet and critic. Dr. Kumarpal Desai then was honoured by ‘Padmshree’. His research work is mainly in ‘Madhyakalin’(Midival Age Period) of literature. Dr. Satish Vyas is a dramatist and critic. Dr. Prasad Brahambhatt is a critic and also is an editor. Since 2005 he is rendering/offering his services as the Chief Director of Academic Staff College, Gujarat University. Prof. Keshavram K. Shashtri, Dr. R.U. Jani, Shree Yashvant Shukla, Nagindas Parekh, Dr. Ramprashad Bakhi – all these brilliant professors have rendered/offered their services to this department. All these distinguished personalities with their unique vision have helped to shape the department, help it grow and prosper and have enabled the present faculty to further develop the department according to present day needs. The department uses the common facilities available to the other departments – such as class-rooms, departmental library, reading room, toilets etc. The department has one computer each for every faculty plus two printers. It also has an O.H.P. for presentation purpose. - The course/syllabus relating to M.Phil. is taught and is in process since 1978. - About 70 students have obtained/gained Ph.D. degree up till 2006. - About 40 students have got success in M.Phil. Course. Course Offered at : In the University School of Languages building.